According to data published by Save the Water, a non-profit organisation dedicated to solving world water crisis through water science research, 7 billion people on earth are sharing 0.4% of the planet’s water . That said, the sharing of this water supply is not equally distributed, with the lesser fortunate community sometimes deprived of access to readily-available water. To highlight the severity of this concern, Colgate partners with Michael Phelps, the most decorated Olympian swimmer of all time to advocate the values and habits for water conservation. On the local front, Colgate returns to “Save Water” by teaming up with Watsons for the second year in a row, to educate and advocate the importance of consuming water efficiently. Set to provide sustainable, clean water solutions to the rural communities, together with Epic Communities and Watsons Malaysia, Colgate Malaysia visited Kampung Hulu Tamu at Batang Kali, home to approximately 60 orang asli families (population of 300) to provide sustainable clean water solutions through a refurbished gravity-fed water system located near a natural water source. The villagers previously rely its water system located on high grounds, but often faced with difficulties such as regular pipe bursts and water disruption. Some villagers have resorted to constructing their own mini dam, but it is a luxury not many can afford. This led the villagers to get water from a river down south – a walk which may be dangerous and inconvenient for many. In conjunction with Colgate ‘Bright Smiles, Bright Future’ initiative, the team also distributed oral care kits to children, teaching them to cultivate good oral healthcare from an early age through a demonstration on effective brushing techniques. 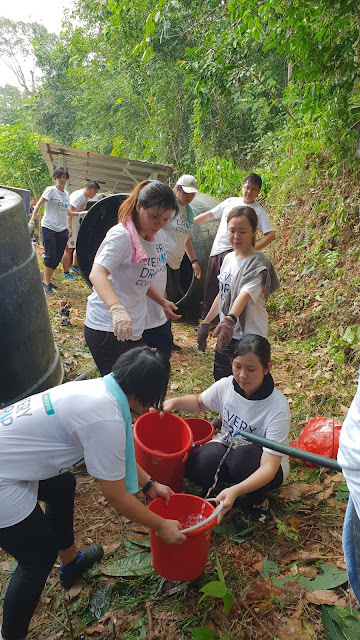 Part of the effort to promote awareness on the ‘Save Water’ campaign, Watsons Malaysia gave out a grand prize of 2,000 membership points to fans who shared water conservation tips on their Facebook page. Fans took part in the digital initiative and shared how they conserve water in their daily lives on Facebook, fueling the hashtag ‘#MySaveWaterTips’ with various creative ideas to approach water conservation. 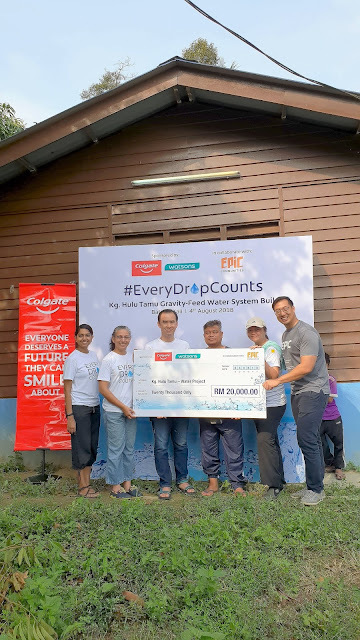 Driving the campaign to greater heights, Epic Communities’ fundraising efforts have yielded RM54,000 for the project. Apart from refurbishing the gravity fed water system, the funds collected will be utilised to organise community meetings, project management consulting, and employment of skilled labour force. “We are no stranger to such community work, due to our extensive experience in facilitating development especially for the orang asli in Malaysia. As such, when Colgate approached us for this project, we said ‘yes’ right away as we share their vision for this project. It brings us great pleasure to continue helping the orang asli community, and we hope for more collaborations in the future,” Johnson Oei, Chief Executive Officer and Founder of Epic Communities said. 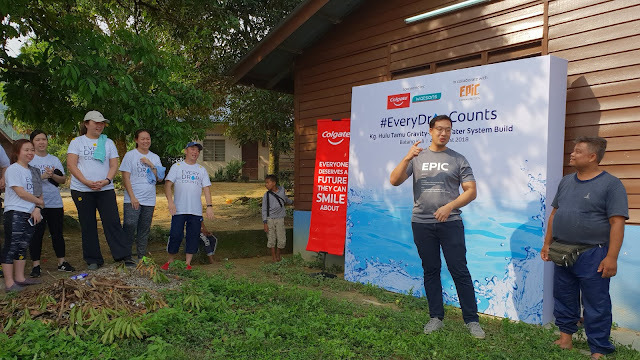 Apart from Epic Communities and Watsons, the Colgate “Save Water” campaign is also co-sponsored by Garden International School and Kolej MARA Seremban.